It’s my story, but I know I’m not alone. Together, we can help to change the world, one child, one classroom at a time. Since early 2016, I have been working to develop our school’s robotics and FIRST LEGO League enrichment program. Our goal is to ultimately give every student, from PP-Year 6, an authentic, hands-on exposure to visual programming and robotics – embedded in science, literacy, and mathematics. (We are making progress, but aren’t at this point yet). In addition, I run the LEGO robotics enrichment program, focussing on FIRST LEGO League. In just our second year of competition, our FLL robotics teams won the Project Presentation Award (Robotic Rebels), and the Championship Award (No Signal). Our championship winning team placed in the top 5% of teams around Australia and travelled to Sydney to compete at the FLL National Tournament in December 2017. Outside of school, I also coached my first RoboCup Junior team, with The Motherboards winning Second Place in Secondary Dance at the WA State Tournament. In this role, I worked to support teachers’ professional learning and integration of ICT and the new Digital Technologies curriculum. In 2015, I established our LEAD Award winning library makerspace and robotics program, helping to empower our girls’ engagement with Science, Technologies, Engineering, and Mathematics. I also worked closely with Curtin University researchers, helping facilitate the Makerspaces in Schools research project, which explored the role of authentic, hands-on learning experiences in supporting girls’ in STEM. 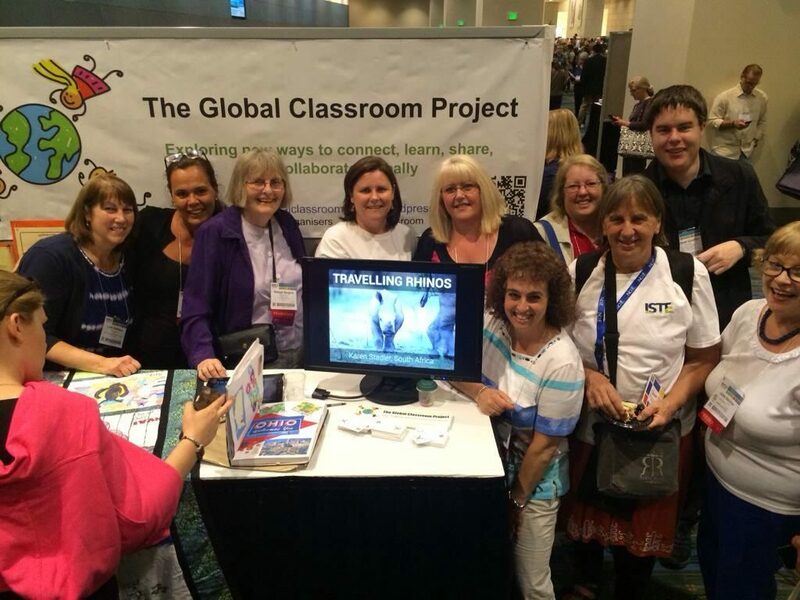 The mission of The Global Classroom Project was to “empower teachers and students as they explore new ways to connect, learn, share, collaborate, and lead globally” through the use of digital technologies. Over four years, we worked with approximately 500 teachers, and several thousand students, from 42 countries across 6 continents. Our global community hosted over 60 K-12 education projects, including the ISTE award-winning Travelling Rhinos Project. In 2015, we were awarded Runner Up in the inaugural ISTE Innovation in Global Collaboration PLN Award. We also created the #globalclassroom Twitter hashtag and ran the world’s first global education Twitter chats for nearly 3 years. I co-founded and ran this life-changing project while working as a relief (substitute) teacher, with the help of teachers around the world. While I have met many #globalclassroom teachers at international conferences in Qatar and the USA, I have sadly never met Deb Frazier, the project co-founder, in person. The Global Classroom Project came to an end in early 2016, as the key project leaders moved on to pursue new projects and work opportunities.